® 2014 Alex Woolfson. Todos os direitos reservados. Como mencionado anteriormente, estarei pausando a estória principal e, temporariamente, postando as páginas dos quadrinhos bônus contando a estória do ‘Spooky’ e da ‘Comandante’. 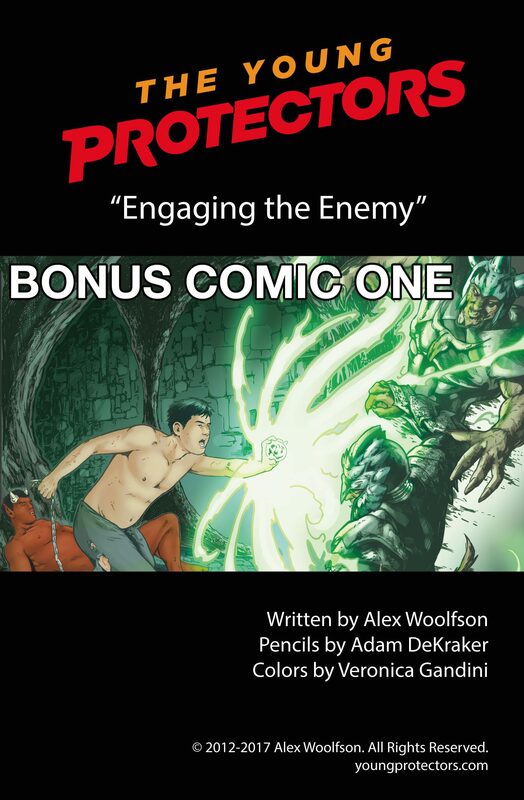 Bonus Comic One of the “Engaging The Enemy” arc of the superhero comic The Young Protectors is written and published by me, Alex Woolfson. Pencils are by Adam DeKraker and colors are by Veronica Gandini.